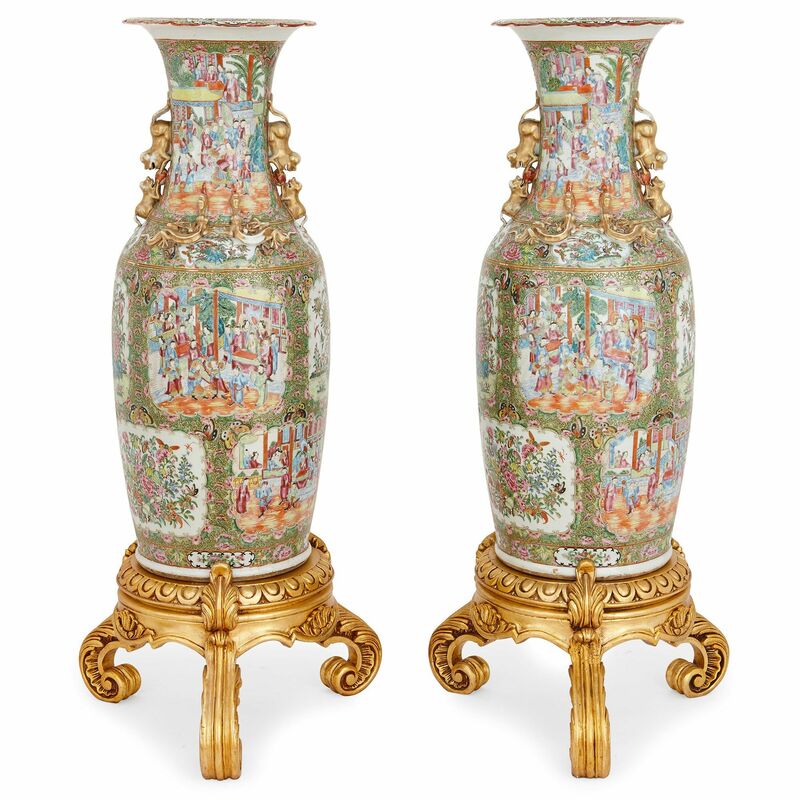 This fine and large pair of Cantonese porcelain vases were crafted in the late Qing dynasty, and feature fine, giltwood bases and delicate decorations. 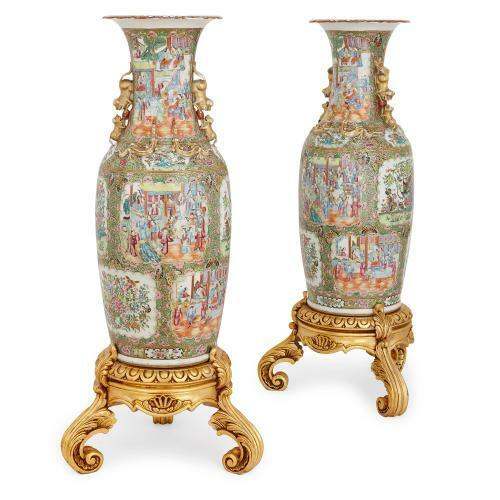 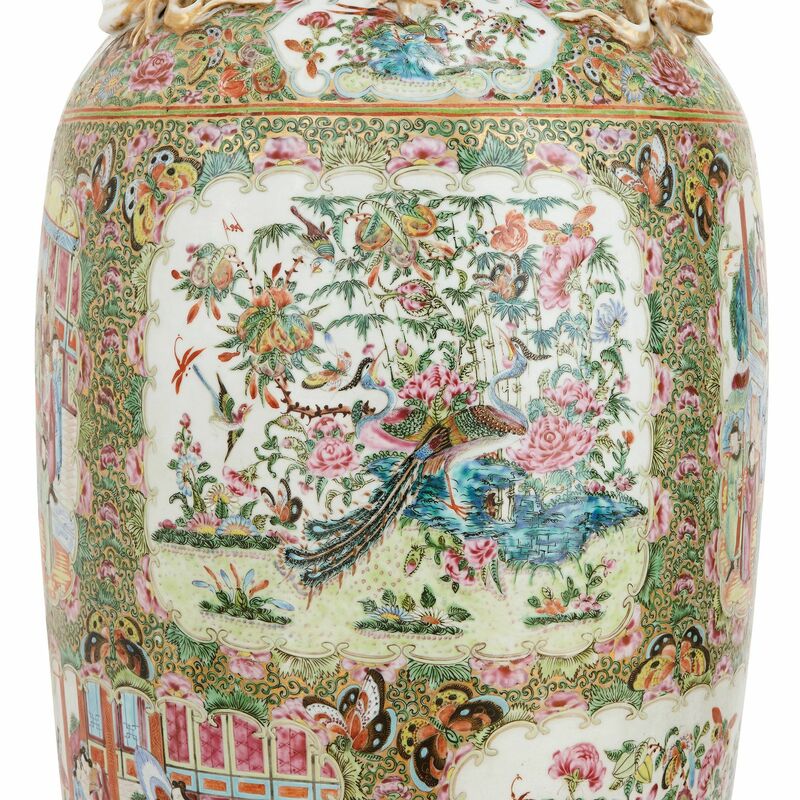 The exceptionally detailed pair of porcelain vases feature long, ovoid bodies with waisted necks and flared rims. 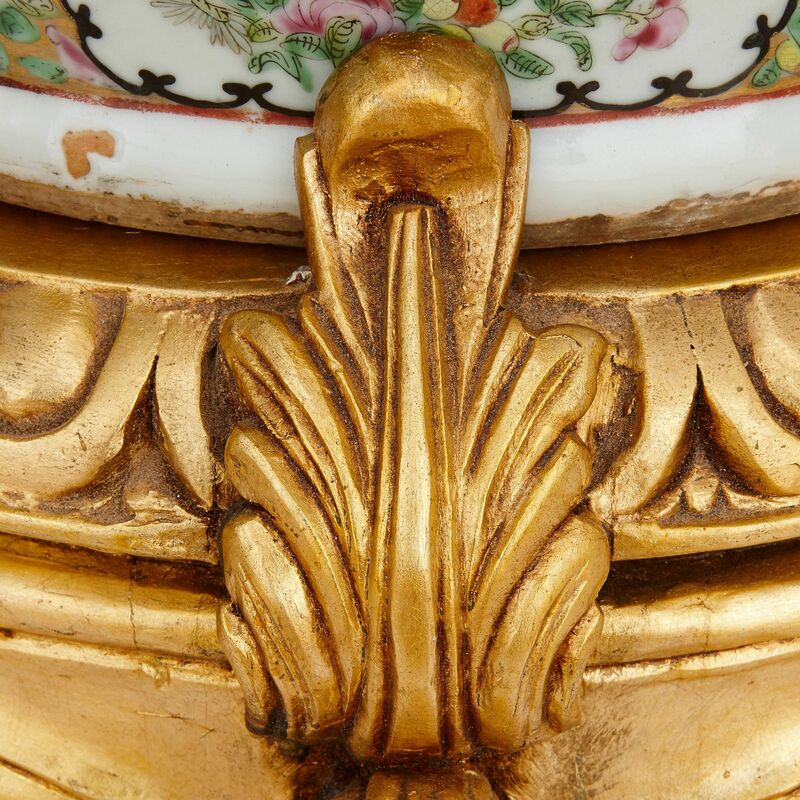 The vases are set onto carved giltwood stands with three scrolled acanthus leaf form feet, shell motifs and a geometric pattern which circles around the diameter. 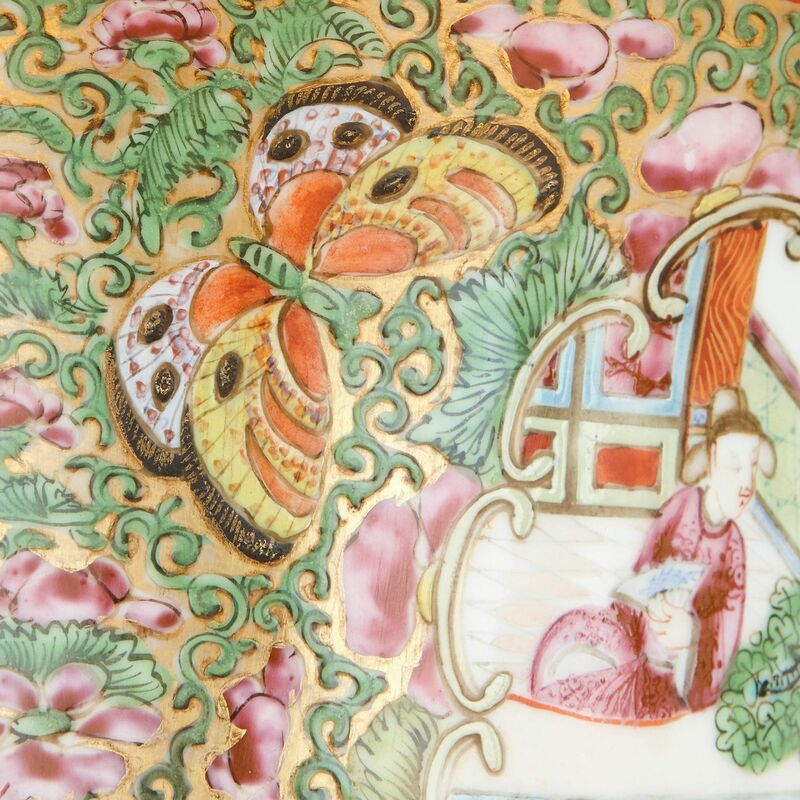 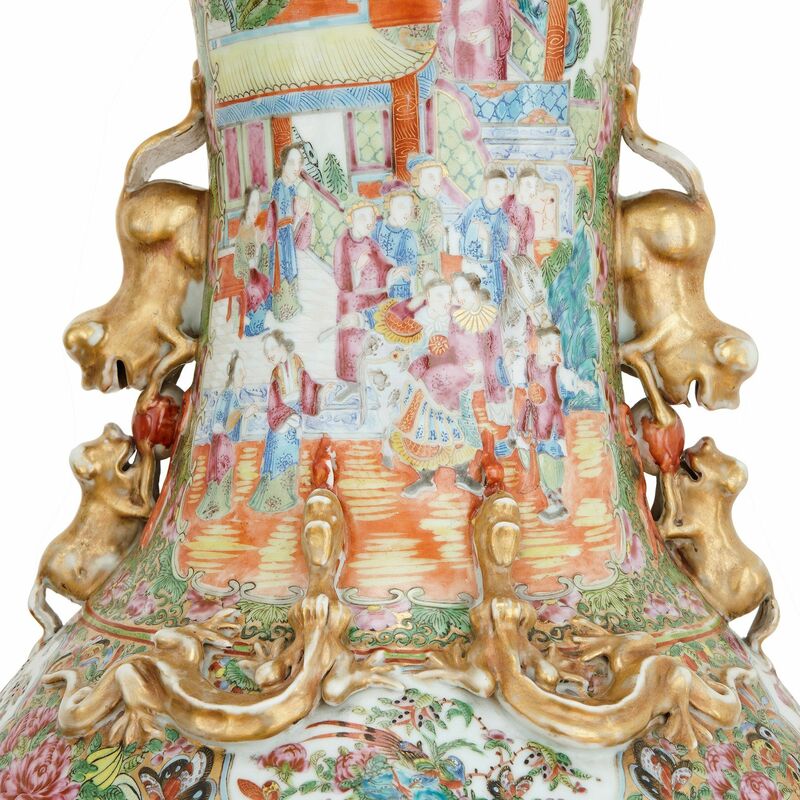 The vases are decorated all over with figural court scenes bordered with flowering foliage in the Canton famille rose style. 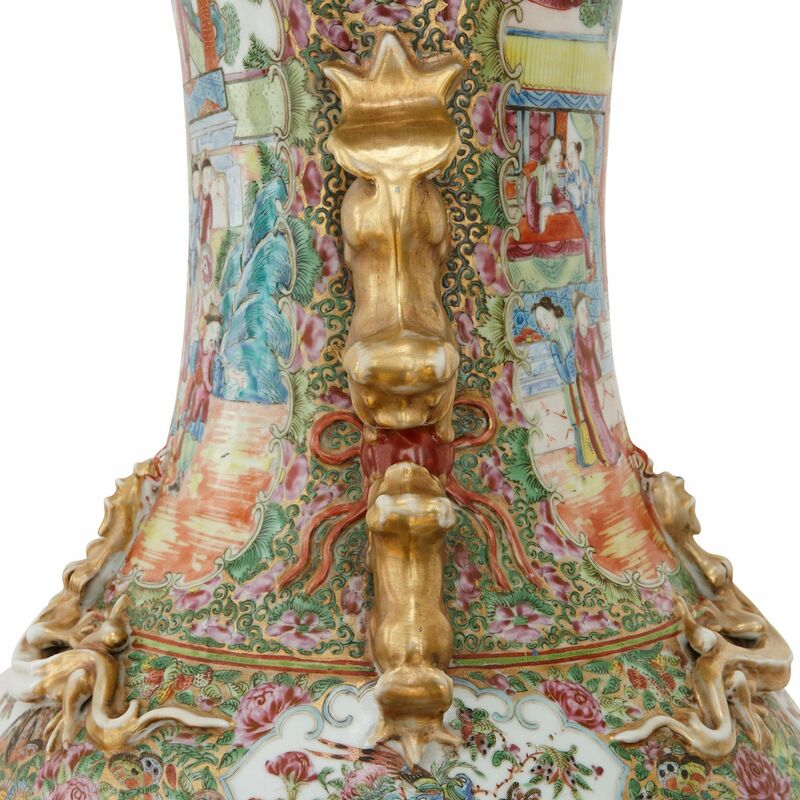 The vases feature twin handles to their necks, in the form of intricate mythical beasts.